Thankyou for visiting this page. Please read below about D3G's charitable foundations and funding needs plus the multiple ways you can support our social mission. Should you wish to provide financial support in the form of a tax-deductible donation or bequest, this can be done via secure online facilities at The University of Melbourne – simply select one-time or recurring gift and enter the amount. Alternatively, download a donation form and post or phone it in. For tax-deductibility outside Australia see here. Be assured that 100% of every donation comes to D3G via MRUFD with no slicing. You may specify that your gift goes toward our current fundraising goal (below), our social-good efforts in education, research and advocacy, or Sam's Story Club (below). Please contact the Secretary (Sharon Dunn) with any such requests or questions. Sam's Story Club is a social-impact initiative whereby anyone, anywhere, can help needy children facing the often-daunting challenges of 'chalky molars' (Molar Hypomineralisation). By sponsoring gifts of 'Sam's storybook' to families in the public-healthcare sector, you simultaneously support the globally unique research and educational activities of D3G. Your gift therefore has exceptionally far-reaching potential to make a real difference in both the short and longer terms. Read more about this initiative and sponsorship acknowledgements here. We distribute the books to children in need through our partner organisations in the public sector. We send you the books to distribute as you please (e.g. 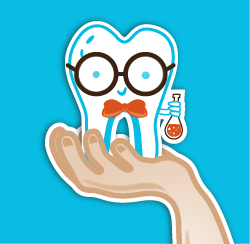 via school dental clinics or community health clinics in your region). Simply gift at least 20 books (AU$100, about US$80). For Option 1, use our e-shop below to complete your gift purchase (contact us for gifts over 200 books). For Option 2, please contact us first to discuss delivery options and costs. For charitable giving in Australia (DGR tax receipt), make an online donation (see above section, $100 minimum) and then tell us its purpose. Please contact us if you have any questions or wish to decline public acknowledgement of your gift. WHY GIVE BACK TO D3G? D3G was born out of the generosity of Melbourne philanthropists, Allan and Maria Myers AC, who funded establishment of MRUFD as a translational research and education initiative to improve child health innovatively. 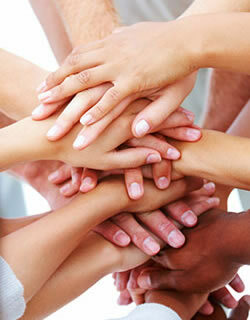 Additional charitable support and many helping hands have come from across Australia, New Zealand and beyond. The social impact of D3G continues to grow, with a broad slice of life benefitting from our efforts (e.g. affected children & families, practitioners and researchers, public health and government, and industry; see our infographic and brag sheet). 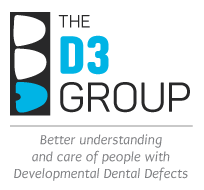 However, with growth outstripping available resourcing, we respectfully ask that those in a position to do so consider giving back to D3G – with so many beneficiaries on tap, it should take only modest giving from a small proportion to secure the gains D3G has made to date and then ensure our ongoing sustainability. Until recently, D3G's founder Mike Hubbard has been running D3G almost single-handedly in his unpaid spare time – as a "giving-back-to-society thanks" for his tax-payer-funded career as a biomedical scientist. However, with D3G workload blossoming beyond our collective capacity to deliver (i.e. Mike and other volunteers), D3G has enlisted the helping hands of Sharon Dunn who of course is famous in "D3 land" as our website designer and illustrator of Sam's storybook. Generously, Sharon is working at a discounted rate to "give D3G a helping hand" – but as primary breadwinner and with a young child, Sharon does need to be paid. 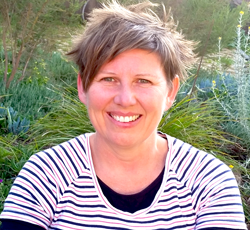 So our current goal is to raise at least AU$50,000 to cover external expenses and pay Sharon for secretarial, project management, website development and volunteer-coordination tasks she is highly experienced in. Naturally, we will be putting Sharon's design skills to good effect across various revenue-generating opportunities with a view to her position becoming self-supporting before long. For example, Sams' story and our membership offerings are now available online, and a "Sam & friends" poster for the clinic, and continuing-education offerings for practitioners are under development. 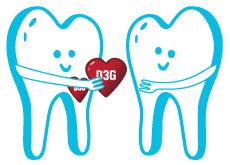 Many people from all walks of life tell us that they love what we're doing with D3G – and so do we. We also embrace the humanistic ethos of doing good deeds and sharing things you like, as captured by the Pay it Forward movement. 'Pay it Forward' is now available for D3G membership. We intend to develop a variety of additional options for you to "Share D3 love" with those in less-fortunate circumstances. We have sponsorship opportunities open for making Sam's storybook and referral cards available to needy families in the public sector (see D3G Merchandise). Please contact the Director (Mike Hubbard) for further information. Professionals (journalism, marketing & comms, business, legal, healthcare) interested in making in-kind (pro bono) contributions to our social impact mission are also encouraged to contact Mike.